Passages to the Past: books that make you go hmmm...two for the price of one !! books that make you go hmmm...two for the price of one !! SYNOPSIS: Upon the death of her demonic husband, Hester Prynne is left a widow, and her daughter is left a wealthy heiress. Together they travel to England where Hester seeks a quiet life—only to find herself drawn into the circle of the most powerful Puritan of all time, Oliver Cromwell. From the moment Hester donned the famous scarlet letter, it instilled in her the power to see the sins and hypocrisy of others, an ability not lost on the Lord Protector of the Commonwealth. To Cromwell, Hester’s sight is either a sign of sorcery or a divine gift that Hester must use to assist the divinely chosen in his scheming to control England. Since sorcery carries a death sentence, Hester is compelled against her will to use her sight to assist Cromwell. She soon finds herself entangled in a web of political intrigue, espionage, and forbidden love. Sweeping, engaging historical fiction, Hester will carry readers away to seventeenth century England with a deeply human story of family, love, history, desire, and the human ideal. SYNOPSIS: Few works of literature are as universally beloved as Alice’s Adventures in Wonderland. Now, in this spellbinding historical novel, we meet the young girl whose bright spirit sent her on an unforgettable trip down the rabbit hole–and the grown woman whose story is no less enthralling. What are your thoughts dear reader? Man, you are good! I've got an ARC of Alice but I hadn't heard of the Hester book yet. Thanks for the heads up! I have to admit, they both look quite tantalizing! Hester sounds fascinating. I am not sure about the Alice one. I would have to see more. I am very interested in the Alice book, not so much in the Hester book. I have the Alice ARC and I'm interested. The Hester book . . . that's a definite Hummmmmmmmmm. Hmmmmm...I don't know about the Hester one, but I have heard great things about the Alice one from people getting ARCs. I look forward to reading that one. Hester does not sound that interesting to me. Sometimes I think that the original work of art (I'm thinking Gone with the Wind and now The Scarlett Letter) needs to be left alone. I heard about Alice I Have Been through Shelf Awareness, but not about Hester! Not sure if I will look into either because, like Tracie, sometimes I am not a huge fan of sequels of classic literature. But... these sound interesting! 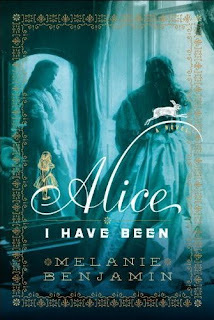 I think Alice Have I Been looks interesting, and I am waiting to read some reviews of it before I decide if I want to read it or not. 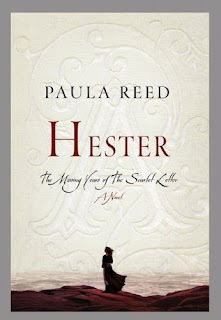 I had not heard of Hester, but it does look interesting as well. Both of them sound fascinating, and just the type of books I would love to sit down and read on a cold winter's day. So many books, so little time! God! that's 2 great books! The Alice book sounds kind of ridiculous, imo. "Royal romances"? For the lulz. And really, the fictional Alice was pretty annoying. So just imagine how the real life Alice is going to be. These both look like great books. Alice I Have Been has especially caught my attention. I think the Hester books sounds wonderful. Well maybe the Alice one too. Great post. I don't know about these two. I didn't like the original Alice, so I don;t think I would like her grown up. And Hester....definitely makes you go hmmm.